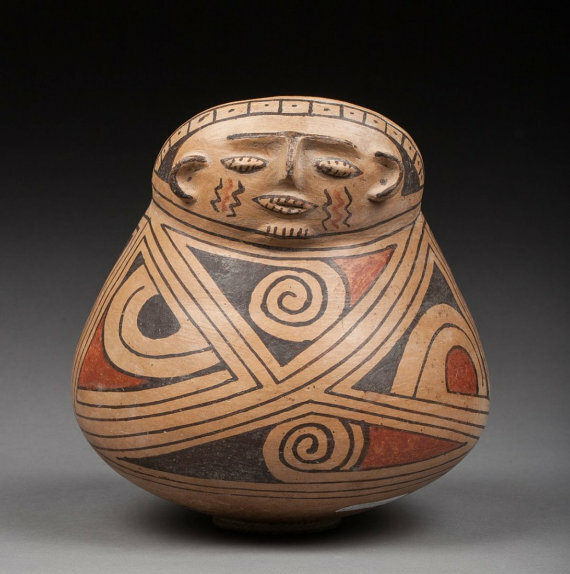 Polychrome Pottery Casas Grandes, New Mexico, 850-1336 AC. Dimensions: 8.8 x 8.4 inches. Condition: Excellent for its age Provenance: Collection of Professor G, Poitiers, France. He was a literature university teacher in many countries all over the world and had a very large collection of cultural art.